Some people figure out how to land a rover on Mars. Me? I take on tasks that don't require such brainpower. Here's the latest project. 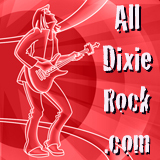 The Wiz is proud to announce the launch of All Dixie Rock, a streaming 24-7 Internet radio station. It features a Southern Rock format, and maybe I'm just trying to make amends for all the nasty things I've said over the years about the SEC. Because nothing goes together like rock 'n roll and college football, there are plans to add a limited amount of college football programming in the future. To listen live, click here and pick your player. More details on the station are available on the homepage. 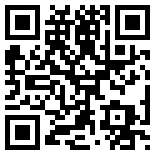 All Dixie Rock is also available on smartphones through the TuneIn app. Apple has listed the station in iTunes, under the Radio category Classic Rock. I hope you enjoy the station. I'll be the guest of Mac McDonald on his show, Inbounds With Mac McDonald, at 4:30 p.m. (Eastern) on Thursday. You can listen to the show online by going to Mac's site. The show can also be heard on WKAV Charlottesville, WREL Lexington and WHBG Harrisonburg. After the jump is a promo for Mac's show that has been posted to YouTube. Looking for a guest to talk college football? Send an email: jayzuma (at) gmail.com. I'll be the guest of Mac McDonald on his show, Inbounds With Mac McDonald, Monday at 4:15 p.m. (Eastern). The show can be heard on WKAV Charlottesville, WREL Lexington and WHBG Harrisonburg. If you're in the area, be sure to listen! The Solid Verbal podcast is the gold standard for college football podcasts and on Wednesday night, Ty Hildenbrandt and Dan Rubenstein invited me on the show to talk BCS title game, the resurgence of the Big Ten and betting lines. The podcast runs 53:46. Give a listen! Solid Verbal podcasts are also available for download on iTunes. Click here to go the iTunes link.